Although wearing bulletproof vests is most commonly associated with the members of the police and army force, other professions also require the same amount of body protection. Private security personnel, businessmen, repossession agents, pawn brokers and ordinary citizens requiring protection from bullet shots are using these body armors. Bulletproof vests are also called body armors or ballistic vest. If you think that you need extra protection against bullet shots, you may want to consider getting your own ballistic vest. If you are worried about the cost, you shouldn’t be as there are cheap bulletproof vests, you can find bulletproof vests for sale on the internet for cheap prices. Before you order a bulletproof vest, it is important to consider a few significant factors. For instance, it would be nice to know the difference between soft and hard body armor. A soft body vest has layers of fabrics – polyethelene fibers like Dyneema and Spectra or woven aramid fibers like Twaron and Kevlar. These fabrics are specifically manufactured to catch bullets in flight and then disperse the impact’s force – this armor can stop most handgun bullets, shotgun pellets and blunt shrapnels. 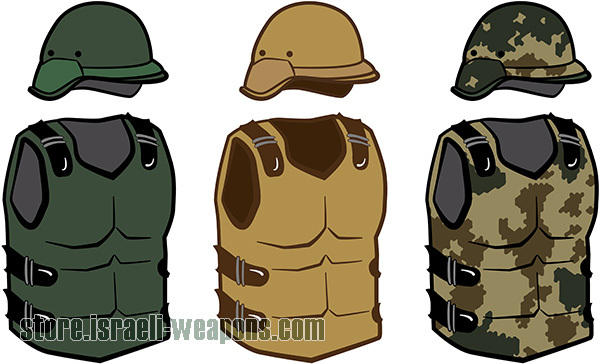 A hard body vest has ceramic, steel or metal plates that can stop bullets or slugs from shotguns and rifles. These materials are proven to be highly impact-resistant so you can be assured of higher levels of protection. It is also essential to know that levels of protection that you can avail from your cheap bulletproof vest. This means getting acquainted with the ratings based on the degree of blunt force impact that the vest can stop, this is best to keep in mind even when you see bulletproof vest on sale for a good price. The thinnest vest available are those with Level II-A rating. This kind of armor jacket generally has a 4 mm or 0.16 inches of thickness and has soft materials. It is can be worn under outer clothing for a long period of time. Bullet-resistant armor jackets with 5 mm or 0.2 inches of thickness are rated Level II, and these are the vests used by the law enforcers. For stiffer and heavier vests, a thickness of 8 mm to 10 mm thick of Level III-A vest is a good choice. These jackets are designed to protect you against heavier-grain bullets and rapid-fire attacks – like those from .44 Magnum and 9mm sub-machines guns, respectively. Like the last two types of vests, Level III-A vests can also be worn concealed under clothing, and they can be worn unconcealed in combat. Basically, these three levels of vests are what you can avail if you only need personal protection. Higher level as III, IV armor plates are designed for professional use.